From 2009-2012 I worked as a senior developer for the University of Virginia’s Interactive Media Research Group (IMRG) where we have developed NOMADS: Network-Object Mobile-Agent Dynamic System, a set of networked tools for both classroom and performance settings. 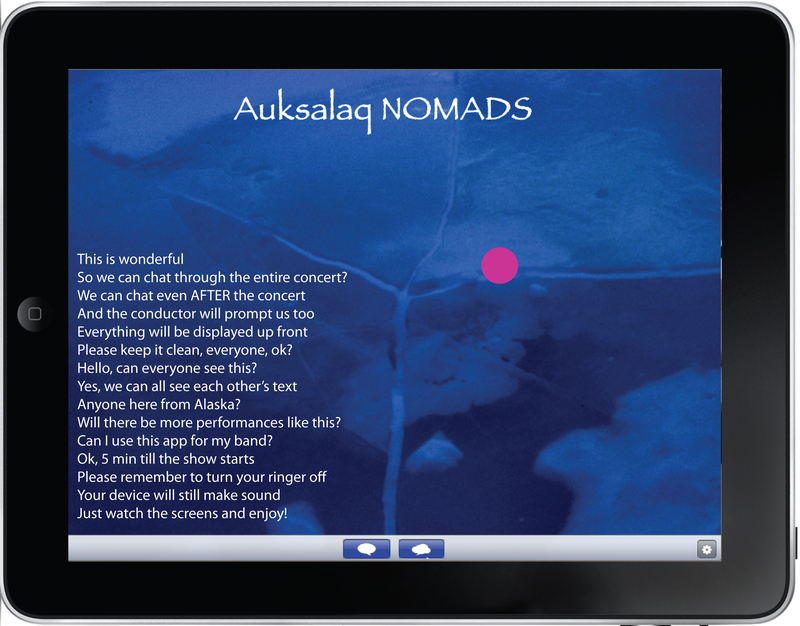 NOMADS is featured in Matthew Burtner’s telematic opera Auksalaq, where a suite of iOS, Android, and Java apps enable audience interaction with the performance. NOMADS has also been used in UVA’s MUSI2350 Technosonics Digital Music and Sound Art Composition class as a tool for large-scale interactive performances. Unity Groove (exceprt, 2010) by the Emergence Collective/IMRG. Programming by Steven Kemper and David Topper. The full version of the piece can be found here.